The 2018-2019 Etiquette booklet is an invaluable resource for all new and returning Members. 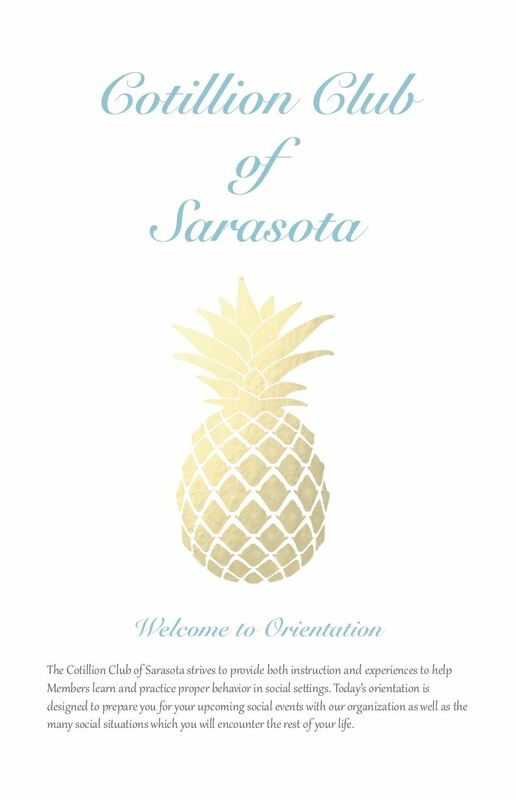 The Board of Directors from Cotillion Club of Sarasota encourage the use of the booklet as a reference manual throughout the 2018-2019 Cotillion season. As always, if additional information is needed, don't hesitate to contact any of the Executive Board Members.